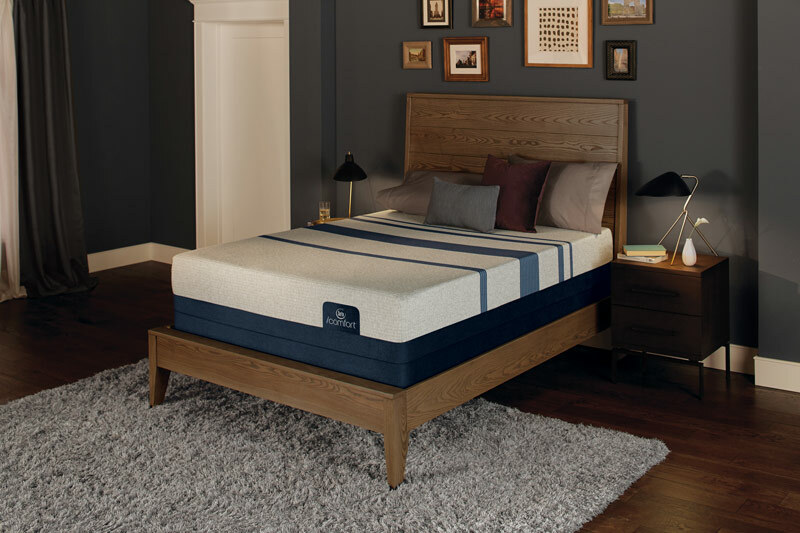 The Blue Touch 300 Firm model combines the feel of an extra-firm mattress with the benefits of Serta’s TempActiv™ temperature regulation system. It combines TempActiv™ Gel Memory Foam with a layer of EverCool® Fuze Memory Foam for enhanced cooling comfort that also supports every curve of your body. It also features a layer of Deep Reaction™ Memory Foam for a substantial, deep-down feel not often found in traditional memory foam. This mattress is finished with Serta’s TempActiv™ Touch Fabric for enhanced cooling comfort. The sales person educated me about the Serta memory foam. It took a little getting used to when sat on, different from regular mattresses. But great for sleeping. The mattress set plus frame was delivered by ONE young man. He was friendly and set up everything quickly. The mattress is firm and yet has a softness on the top so you are not laying on a hard rigid mattress. SERTA lives up to its reputation! I had bought a hybrid did not like it to soft bought it off HLN. only had it a year gave it to next door neighbor. this one so far so good. My husband suffers from back pain and this mattress has been a great help for his problem. Excellent support. The mattress countours your body and is firm enough. I got the firm I comfort and is very comfortable. I have to get used to it being a little higher than my old bed but that is not a big deal. I had heard from other people that the foam mattresses are the way to go and how comfortable they are. My old bed was giving us a backache and this mattress forms to your body. Give it a try. We love our new bed, it’s so comfortable and helps with our bad backs. Highly recommend. I love that it is quiet and movement free with sleeping partner. Has incredibility improved my sleep and chronic back problems. This is a firm mattress and very comfortable. I would recommend it to anyone that needs extra support. This is my 3rd Serta and I believe it is the most comfortable one yet. I have had this mattress now for a week and I dont think I have had a better sleep! It gives me the support I need and gentleness were I need it. Being able to adjust the mattress with the base is an extra added bonus. I have never been able to watch TV or work on my computer in the evening without discomfort, but now that is not even an issue! The ability to put myself in the preset of zero g is so awesome and then when I flatten it to sleep….wow…my back just stretches where it needs to and is so comfortable. I could not be more pleased with my purchase. I also tested a Tempurpedic before buying the Serta and could not justify the price tag. Honestly, I dont think I can tell the difference in the two mattresses. Serta all the way! If a parent can buy their teenagers a product that they are satisfied with, then I would say the product was well made. Both of my teenagers told me their backs do not hurt anymore. Yay to Serta for getting it right. Our previous set was also a serta. It was 12 years old and still in very good condition. It was pillow top, and Mr. Champion had a hard time getting into bed because of it was too tall. We also have Serta Pillows. Would recommend to to friends and relatives. My boyfriend is a large man and we bought this bed because we love a firm mattress. This is, without a doubt, the most amazingly comfortable bed I have ever owned. I sleep all through the night now (I use to wake up 3-4 times a night). I wake up feeling rested and energetic. I would give this bed 100 stars if I could. When my boyfriend gets in the bed I can’t feel it at all. I use to roll over to his side because of his size. I LOVE this bed!! I consider it a nice mattress, with sufficient support to my body. Although it is not cheap, the quality satisfied me. I like this product because my lower back feels great in the morning. No more waking up in the middle of the night with pain, that makes me have to sit up in the bed to be comfortable. I love my new bed. This mattress is horrible. I bought it 1 month ago. My husband and I are feeling a lot of pain in the spine. I’ve never felt anything before. Did not like. When I tested in the store was more comfortable. Got the first good night’s sleep in forever. Comfortable and firm. Love the new height. This mattress is perfect for both myself and my wife. We searched high and low for the proper extra firm mattress. The Blue 300 extra firm filled the bill. Serta crafted a mattress that is far superior to mattresses that cost two and three times as much. Add a 10 year warranty and that sealed the deal. With a warranty like that you know they stand behind their product and it will be of highest quality. First I Would like to say that I’m a huge fan of your company and been a loyal customers and I can’t imagine buying anything else in my home .My family rely on your true comfortable sleep products,I suffer from chronic pain and my rest is very important to me thats why serta brand is the only brand for me .Your bed are extremely high quality and built to last. I just wanted to THANK YOU SO MUCH FOR THE GREAT PRODUCTS #1FAN. My old mattress was not foam. I was having shoulder pain and kept waking up in the middle of the night. My new foam mattress is not too hard and not too soft – a perfect degree of support. This is a comfortable firm mattress. No more rolling into each other! We’re sleeping much better, and our backs are feeling much better too. I love the comfort of this mattress. It is a little warm though! 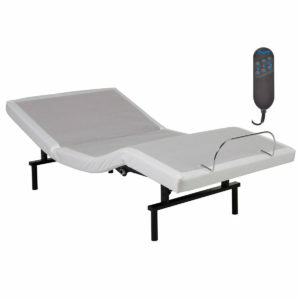 I bought this mattress along with the adjustable base because I had 3 spinal operations. This mattress is perfect for my back, before this I was sleeping in a recliner. I was going to purchase a sleep number bed but when I tried this, I feel in love with it and I can actually enjoy going to bed knowing I won’t be in any pain. Love this mattress. Finally have restful nights and pain free mornings. Never have purchased from Serta before, you definitely get what you pay for. Although I have only had this mattress for a week, I am very happy with it. I like the firmness and the adjustable bed we purchased with it. Wish we had purchased it sooner. Overall our sleep has improved and I don’t wake up with a back ache. Before we bought this mattress i had back aches almost every day. I have owned my I-Comfort almost 5 years and still wake up everyday feeling like i slept well, and NO back aches anymore. It is such a relief to feel good when you wake up. Also, i am hot natured, so very pleased with the cooling effect of this mattress. I will never buy anything else. I like the look and feel of it. It’s much more soft and firmer than my old one. I sleep much better and cooler now. I didn’t know there different firmness. My husband and I were in the market for a new Mattress. I wanted something a little less firm than he likes. Well, I tell ya, this icomfort fits the bill for us both. It took a couple of days to soften up as it had been in a warehouse for a bit but, once it did I felt like I was sleeping on a cloud. It completely conforms to my body no matter what position I sleep in. I am a stomach sleeper and this is the first time in over a decade that I was able to wake up without a sore back after sleeping on my stomach. We also got an adjustable frame with it. 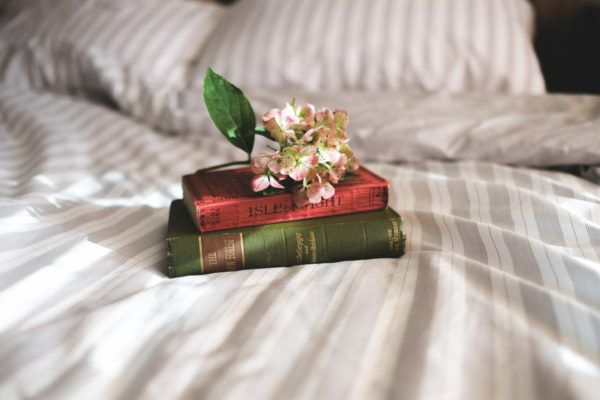 Being able to put both our heads and feet up completely relaxes our lower backs and is so comfortable if we want to read or watch TV before going to sleep. Also, for the first time in about 10 years I am sleeping through the night, and it is a sound sleep. I feel so rested and not groggy anymore. I would recommend this mattress to anyone!! My wife and i just love this bed. The only problem with it is you don’t want to get out of it. Would highly recommend it. I like that this mattress is firm yet very easy so turn over in from side to side. I previously had a innerspring mattress and was not sure about trying a solid foam one. I had slept on foam mattresses at hotels and also at our children’s homes and like the way they felt so decided to purchase one as a replacement for the older innerspring one I had. I love the firmness of the Blue 300 I Comfort and like it the best of all the foam or hybrid mattresses I tried at the retail store no matter what the prices were. Comfort was my main objective and a great nights sleep. After sleeping on my new firm I Comfort mattress for a week, I am very happy with my choice. I look forward to lots more nights of great restful sleep and no back pain. I would recommend this mattress to anyone who likes a firm mattress. We purchased this mattress from a furniture store we regularly deal with trying to replace a mattress that we loved but has been discontinued since the very first night my wife and I wake up in horrible moods, in pain, and hurt Worse than we did on the old mattress we will be taking advantage of the 120 trial hopefully Serta offers a better alternative than this option. The mattress is of great help to my back aches and also a great comfort as to have a great night sleep. This mattress is very comfortable. I sleep like a baby now and it does not get hot like some foam mattresses. Previous mattress was traditional spring, will never go back!! I had been fighting Multiple Sclerosis. Fighting any ability to walk using crutches, and a walker. Sadly, I over stressed my back to spasms that were pressing lumbar discs. The decisions I gave myself were, 1. Emergency room; 2. Chiropractor, with possible surgery; 3. 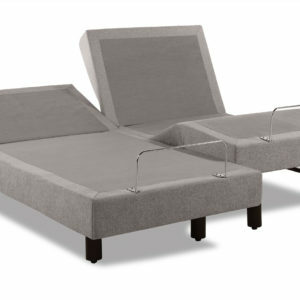 Invest in this mattress and adjustable base. I chose 3. By the third night on this mattress, with the Zero G on the Motion Essentials III, ALL my pain was completely gone! I saved myself pain, a hospital bill, and possibly surgery. Even my blood pressure has improved. Totally worth every penny. Everyone deserves a bed like this. It is a medical necessity. Thank you. We love our new mattress! Looking forward to not waking up with back and joint pain! Brand new – the mattress felt very stiff for my liking. However, I was told that there is a break-in period with foam mattresses. It remains to be determined whether I keep this one or exchange for a slightly softer model. I do like the cooling effect of the mattress though. I’m over the top excited about my new mattress! The iComfort definitely stands by their name. I will be sleeping like Sleeping Beauty on this stylish comfortable design. I definitely would recommend in getting one, any day! 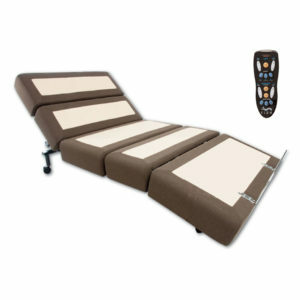 I had another I comfort adjustable bed. Due to the extreme comfort I knew I wanted to continue with I comfort bed. I had a Queen size, now I have purchased a King size bed. Has my sleep improved? Their is no need for improvement with I comfort. It is the most comfortable bed on this planet, I am not kidding. This is why I made a dash to the i comfort section in the store. Thank You Serte for I comfort beds. I love the way the mMy previouswattress fels when I lay in it. Its very comforting. My previous mattress was a mattress I got from a family member. My sleep has definitely improved. Best Bang For The Buck. I went from a 100 Med. Firm to a 300 Firm because of lower back trouble. Very Happy with the products. A year and a half ago we purchased an icomfort mattress because of the hype how great the mattress is. Well we now feel like we sleep in a hole and have to climb up a hill to get to the middle section. The edges feel like we’re falling out of bed. We thought with the price we paid ($2900) we’d have a top quality mattress like we slept on in a hotel. Wow we could never be so wrong. Either the mattress is defective or it’s of poor quality. This mattress conforms to all pressure points. Previous mattress allowed rolled towards center. Much improved sleep quality. I did not own a branded mattress before so I cant compare serta to other brands. But I will say that this mattress is just perfect. I feel great support for my lower back. Higly recommend this product. Sleeping better than I have in years. A wonderful experience. I was hesitant to spend so much money on a mattress, but after going through two cheap mattresses in two years I was ready for an upgrade. Let me say it was well worth every penny. I’ve only had my new mattress for a couple of months but I’m getting the best sleep of my life and I’m no longer dealing with chronic back pain. Easily the most comfortable mattress I’ve ever owned! First time purchase of a foam type mattress. Quick delivery and first nights sleep was great. If you are on the fence about this purchase stop waiting! You definitely will not regret it. We have only owned the mattress for a couple of days so will check back after 30 as well. We got the King size with the two Twin XL 9″ foundations. We currently have the mattress/foundation right on the ground. The first night we slept directly on the mattress (no topper) and I found it a little too firm (woke up with some stiff muscles) but this was the very first night so could be the mattress is just too new. With our mattress we purchased a 1.5″ cool foam topper and we slept on that last night…uh..mazing! The best night of sleep that I have ever had in my life. We got the very firm mattress because we don’t like to sink in and we like how firm the edges of the mattress are for sitting on the edge. The mattress topper adds just the right amount of cushion on top of the very solid mattress underneath. We had also looked at the Blue 1000 Cushion Firm model which has some comfort layers…but was just too mushy. This combo of the 7617 and a gel foam topper…perfection! Motion isolation was also an issue that we wanted to address and this mattress delivers (thought I think a less firm mattress would be even better). Because the mattress is very firm if my husband flips over violently I do feel it a little..but not nearly as much as our previous foam (online mattress starting with letter C). I’ll check back in in about 30 days once we have broken the mattress in a bit for our full impressions. Only had the product a few days, but love the feel and firmness of the foam set. I have always owned a spring mattress up until this recent purchase, and i can already tell the difference in comfort, especially on my back. Highly recommend. Very comfortable and supportive. New to the foam and just got it yesterday but last night’s sleep was awesome. Husband didn’t snore and evidently didn’t move or I just didn’t feel it. The adjustable base is wonderful. 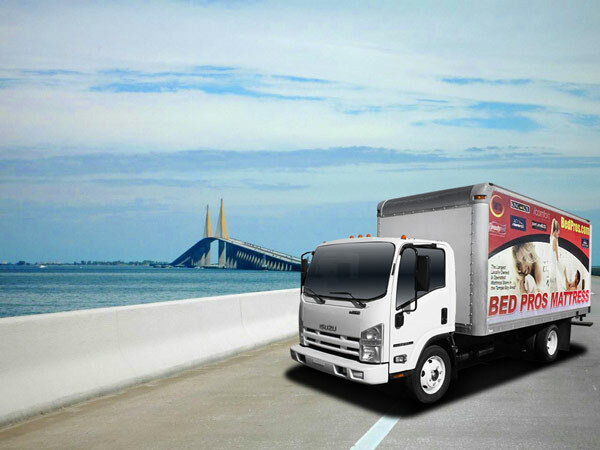 We recently purchase our mattress and we’re extremely satisfied with the comfort and design. Look, this thing is so comfortable, it’s hard to explain. Its firm, but not stiff. We been on it for three nights now and I have slept through the night every night, unheard of for me!!! When I walk past it, I have to resist the urge to lay back down. The design without the seams is a great look along with the blue and white fabric cover. I’ve told my friends about it and suggested that they check it out. Thanks Serta, you rocked this one!! We purchased the mattress and foundation about two months ago and love it! The mattress supports us. It is well made and good for larger size adults. Very comfortable and easy to move around. it does not disturb the person next to you. Also the perfect height to get in and out of.. I have been sleeping better and dont wake with a sore back anymore.. i like the firm because its still soft enough not to hurt your joints but firm enough to feel secure.. . I am very happy with my mattress and definetly recomend it. We LOVE this mattress. I am sleeping better and my joints do not hurt as bad in the morning as they usually do. I am very happy with this purchase and REALLY love that we went for the adjustable base. We had only had pillow top mattresses before and waterbeds. We like a rather firm bed and not too soft. This mattress meets those desires and is so comfortable. I am sleeping better and don’t disturb each other when one has to get up during the night. We are both sleeping much better and less tossing and turning. it is great. I sleep like a baby. I wouldn’t buy any other mattress brand but a serta!!!! It’s worth the price. I never experience a bed like these before. No regret. Its’ very comfortable. We originally bought a hybrid Simmons and after one month traded for an I comfort as we needed more support. We both agree the Serta improved our sleep. I replaced a Tempurpedic that failed after 4 years with this bed and I cannot believe the difference. First of all, when you sit on the edge of the mattress, it does NOT squish down and deform like other brands. The mattress is cool and the firmness still accommodates the body by allowing my shape to sink in a bit. Also it is 11.5 inches deep which gives better support. Overall I give it a 4 because I do not believe there is a 5 mattress so this is my highest rating and I am pleased. I have to mention the buying and service experience at Rooms To Go. There is NO other store that takes care of its customers the way they do. They are incredible and worry free and honor their commitments to the highest degree. Plus Alex Lopez in South Austin has 20 years experience and after working with him you will leave the store feeling better than when you entered the store!!! We love this product. The first night we slept on it it was the best night’s sleep we had in a long time. I owned a Tempurpedic Mattress before this and we also loved it but this felt so much more comfortable than the Tempurpedic. We are definitely glad we bought this mattress. It’s been a month and we couldn’t be happier. We both are having minor back issues and this bed has helped quite a bit. We got 2 twin xl with adjustable base and feel like it was worth every penny. My doctor (chiropractor) recommended the Serta Icomfort series. I’m a side sleeper and have been able to get full restful nights of sleep with the product. Thank You Serta. This mattress has firm support for my back and contours very well to my body. I fell rested and ready to go after a full nights sleep on my new bed. We slept on this mattress on the first night and knew we had found the right mattress. It was perfect and no more backaches in the moning when I wake up. Recently married. Wife likes Medium, Husband likes Firm. This mattress is just firm enough for him and soft enough for her unlike traditional spring firm mattress. Was concerned about hot that they talk about with memory foam but hasn’t been. This is an excellent mattress and well worth the money. The product is very nice love it. I would recommend it to anyone that’s fine a new mattress set. I have back problems, but not anymore. I lay on it and don’t sink like the last mattress l had. The price was right for comfort. I now wake up wide awake with no backache. Thank you Serta. Love the double pillow tops. Great sleep over last mattress I owned. NO COMPLAINTS….THX SERTA!!!!!!! Sleep better than ever. Bought the Extra firm….perfect for my back. I love this product. I moved recently and was just using a blow up mattress and then decided I need something a little more suitable for my back. I saw the ad in a magazine. So I went to go see for myself at Same Club and purchased It right away. Amazing an incredible comfort. I love this mattress topper ! Best mattress ever! It Greatly Improved sleep and very comfortable sleep!! Thank you Brandon @ Mattress Firm!! Great mattress. Nice and cool. Getting better sleep, and easier to wake up in the morning. We are very impressed with the quality and appearance of the iComfort 7617 mattress. We have experienced no off-gassing and the cooling feature keeps us warmer than our previous mattress but not as hot as standard memory foam. Overall, we like the mattress and hope that over time, it will lose a bit of its firmness to be more similar to the floor model we testing in store. Really improved my sleep quality already. Gel foam does help cool and provides firm support. My wife an I have been searching for a while when we discovered the Serta 300 Firm. We tried several others but kept coming back to the Serta. its just right!!! Really like the firmness of this mattress and am getting great sleep! When we were in the store looking we didn’t know anything about these mattresses, but when we laid down on it we said this is it. We found it a better value than the tempurpedic. We tested both in a store and found the Icloud a better value. We love the bed. My sleep has improved. The only difficulty is finding sheets to fit correctly. 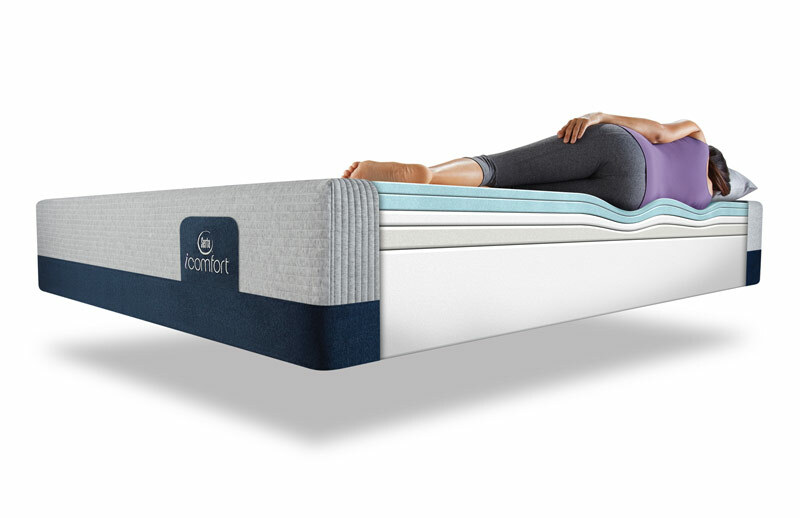 Love the Icomfort bed. Last bed was worn out now I sleep soundly and comfortable all night. Also stay cool through the night. Highly recommended. I researched before this purchase and went to many stores and tried different mattresses, was very pleased with this purchase. The bed is very comfortable. I sleep good through the night with a lot less tossing and turning. I thought it was hot but I found out there is a matress pad available that is supposed to make sure the cooling gel is able to get through. I just ordered it. The first night I thought this bed might be too firm. But it isn’t at all! We’ve had it about three weeks now. I sleep through the night and am not tossing and turning any more with low back ache. My husband has several issues (back, shoulder, arms) and says he’s sleeping much better too. I don’t even feel the bed move when he gets up in the night like with our old bed, therefore no more disrupting my sleep. I love it so much I even bought this same mattress for our guest room. Our Comfort Foam Cal King is amazing! We were having back and neck pain prior to purchasing and now it is gone, we get a good well rested night sleep. I have purchased smaller sizes for my kids and they sleep better and have a better day the next day. It also keeps us cooler during the night which helps us breath and sleep better . Highly recommend ! This a great mattress for the money. It’s very firm. I like a good firm mattress, but it may be just slightly too firm for me when I’m sleeping on my side. I was looking for a very firm mattress. Every other one advertised as “firm” just weren’t cutting it. I tried this one and instantly was sold! I’ve had it for about 3 weeks so far and it’s been great! Since sleeping on this bed, a lot of my back pain has resolved. I even notice that I feel more well rested. We upgraded to a king size bed so we had to purchase a new matteress. We has a sealey mattress before. I have degenerate disc disease in my back so needed a firm but comfortable matteress. We decided on the Serta Icomfort and We both absolutely love it. We sleep comfortably and wake up with no back pain. I would highly recommend this mattress for others with back issues. Like the price and the quality of the mattress. We also got the adjustable base. i love my icomfort mattress because it’s more firm than my last mattress. The pain in my back and hips have not gone away but have diminished quite a bit. The mattress is very firm and I’m trying to get use to it. I may return it for the gentle firm version but I want to give it time to see whether or not I’ll get use to it. Overall I’m happy with my pruchase. The quality is awesome! I prefer a firm mattress. I obtained relief from lower back pain within a week sleeping on this mattress. I would like to add that when I filled out warranty information I was not able to indicate my correct state in address which is MN. I have had my Serta IComfort 7617 almost a month and I am happy to say my achy back is much improved!!! Happy with my purchase. I give this high marks of satisfaction! Takes a little while to get used to the foam. Wish we could afford the adjustable part. This is our second foam mattress. The newer ones have nice improvements. You can see and feel the difference in the layers of the materials. Best night sleep I have had in a long time. I have a bad back and shoulder. I used to toss and turn. Now I am very comfortable. My husband and I were a bit afraid to purchase a mattress set online. But luckily found the perfect mattress set for us! We both have back pain, which this firm mattress helped with. We now get good rest at night and without pain like before on our backs. Truly recommend this mattress! We are truly satisfied with this mattress that has a good comfortable firmness to it! It’s new fresh comfortable and is giving me a much improved sleep. The serta mattress is comfortable and firm. Memory foam works great. No bounce. I was a little skeptical of foam beds, but I knew this was the mattress for me when I tested it in the showroom. After sleeping on it for three weeks, my first impression was spot on. Even though it’s “firm” I feel absolutely no pressure points and wake up without the aches and pains from my previous firm mattress. I have been wanting to buy an Icomfort for awhile but was a little weiry on spending that type of money on a mattress. I found the mattress on sale for the holidays and I had to get it. 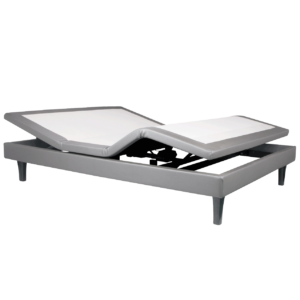 I have a few chronic health conditions that make buying a bed challenging; as I need a soft bed sometimes and a hard surface sometimes to sleep. The first night I didn’t think I would sleep well because it was not broken in yet; however I slept over 10 hours :). I can’t wait to see how well my body adjusts in the upcoming weeks and months. The mattress quality and comfort is second to none. It is by far the best value on the market! It stays cool all night and dissipates heat providing a comfortable surface area without having to re position for comfort. We selected firm and it is but just as firm it is very comfortable and contours easily. On our first night sleeping on our first all foam mattress, we slept like a rock! We woke up with no back pain, and very well rested. I don’t know how it’s possible to feel like you’re sleeping on a brick made out of clouds, but that was our interpretation. We needed a mattress that was very firm, and this delivered! Great value as well. Highly recommend this mattress!! We are very happy with our new mattress and look forward to many more well rested nights. Our new mattress is wonderful for my sleep now. My physical needs changed since our last mattress which was 12 years old. I developed arthritis in my hips which made it painful to sleep on our previous mattress. We went to visit my cousin who had just purchased this mattress . She let us sleep on it while we were visiting. It was the best sleep I had had in a few years! It was cooling and so comfortable…no pain in my hips! As soon as we returned home, we went to purchase our very own. Love it!!! Had it a couple of weeks now and can’t imagine being without it…ever! I was having a lot of back issues and just generally was uncomfortable when waking up. For some reason it never occurred to me that a mattress change would make such a difference. I went out of town and stayed at a hotel with a tempurpedic. I hopped up straight out of bed, hit the hotel gym, and felt amazing. It became my life’s mission to find a new memory foam bed. I was looking for a bed that didn’t sleep hot. I found the serta icomfort blue 300 at mattress firm. And I love it. I have seen people recommend the tempurpedic breeze and say it last so much longer. I don’t personally have $4500 to drop on a bed right now. So they may be right, but I didn’t consider it. This bed is amazing and every morning I wake up well rested and not in pain. So basically there isn’t a lot for me to complain about. I liked the value behind this product and the appearance. The foam is forgiving, but still provides back support. Really comfortable and sturdy mattress. We purchased a firm and it is just the right amount of firmness. We’ve had it for 6 months now and it holds up great. Can get in and out of the bed without disturbing each other. I have enjoyed the mattress. My back does NOT ache when I get up in the morning. I am very pleased with the purchase. My husband and I needed to replace our old king bed…and wanted to try foam mattresses for the first time. Well, I wish we’d bought a Serta IComfort years ago! I have a very bad back and have not had any pain in the morning since purchasing this Blue Touch 300 Firm. Heavenly comfort and cooling relief that helps hot flashes, too–YAY! I love that Serta offers a split mattress option–so we both got the firmness we wanted side-by-side. Perfection! I highly recommend the iComfort line of foam mattresses. You will be very happy like I am. Thank you, Serta. I love my I series cool gel foam. We have a King size now and we do not want to get out of bed. I work 3rd shift and it was hard for me to sleep because it is so light out but since I’ve had this bed, I sleep like a baby. I sleep an entire 8 hours. We also purchase the base that adjusts at head and feet. It also massages. Oh my, it’s the Best. We had a serta queen size before but we absolutely love this one. This was our first foam mattress purchase. It was the most comfortable of all mattress choices when we were shopping around. No matter what we tried we always came back to the icomfort. The mattress itself is very comfortable and I find myself tossing and turning much less. I find this mattress very comfortable. We love our new Serta mattress. The memory foam is great and the mattress is cooling. Like this one better then the 500 plush. Firm and comfortable. I love my new mattress and bed. I had my old mattress for over 25 years. I am hoping this one will help with my back problems. It is very comfortable and can be put into different positions. I like the 10 year warranty on the bed. Best sleep I’ve had in a long time. When I wake up, my back is no longer stiff and sore. My arms and legs no longer “fall asleep” while I’m sleeping. Just a great mattress. Only drawback is the smell and I’m sure that will go away with time. Would highly recommend this mattress. The mattress is very comfortable and I love the cooling effect. I have had foam mattresses before and always felt that they slept hot which made me uncomfortable. I don’t have that problem with this mattress. I also appreciate that the edge of the mattress is a bit firmer than I have seen in other foam mattresses which makes it easier to get in and out of bed. Overall I love the mattress and highly recommend it. I had a serta mattress before this one. I liked it too but I love the Icomfort foam the best. This is definitely the best mattress so far. I sleep longer, actually want to stay in it all day. I have the base that massages and moves at bottom and top. Love it all. Our old mattress and boxed springs were no longer comfortable! This one, after one night, was amazingly comfortable!…..We both like the firmness of the mattress very much. We look forward to years of comfort from our Sealy mattress !!! We purchase an adjustable King Blue 300 about 3 months ago and couldn’t be happier! We were shopping for a new bedroom suite and knew we wanted a memory foam mattress for our new bed. We had one of the top brands in mind along with a couple others and to be honest, the Serta icomfort wasn’t really on our radar. We were in the store trying out the mattress we had in mind, which felt really good, then the salesman suggested we try the Blue 300 icomfort to insure we were making an informed decision and since he knew we were in the market for a firm mattress. We tried it out and it felt really good as well being at a lower price point than the other major brand I liked. I reluctantly choose the Serta and wondered the whole time we were waiting on delivery, if I had made a mistake. Three months later I couldn’t be happier. The mattress feels awesome, firm but conforms to the body for a great nights sleep. No more back aches in the mornings for me! Thank you RTG for the great suggestion! 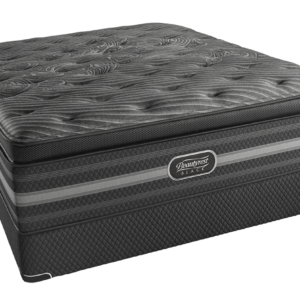 We bought the iComfort Foam set as it was the most comfortable we had tried and it came with great reviews and an excellent warrantee. Definately an upgrade over our old (less than 5 years) Simmons conventional Set. My wife and I have been sleeping better every night since it was delivered. I have arthritis and have had 2 left hip surgeries. This bed enables me to sleep on my left side for a little while. It is nice and cool and I usually sleep hot. I love this bed. We have a Serta Pillow top previous to this new one, it did not work that well. I highly recommend this mattress. I can sleep much better. 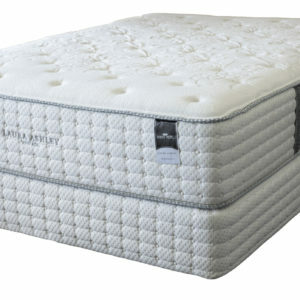 I am very happy with this purchase the temperature of the mattress is great and its feel very comfortable. Likes: Very comfortable and supportive in all positions! At first I was worried it wasn’t firm enough because you sink in slightly, but it is. Great for side sleeping…no arms falling asleep. Dislikes: I wanted a mattress without hard piping/wire around the edges because I sit on the side of the bed a lot. The edges are kind of soft and rounded…you sink in a bit and it is not good for sitting. But it’s great for sleeping which is, after all, its primary purpose. Product is consistently comfortable. Being a split set, delivery was simple into an apartment. So far we love it. Getting better sleep at night. We tried different manufacturers and Serta beat them all. When my husband and I went mattress shopping I was totally against a memory foam mattress. We went to Sleep Experts and got a recommendation by using their support analysis machine. We ended up purchasing a Serra icomfort blue 300. I have trouble sleeping, getting only 3.5 to 4 hours sleep a night. Arthritis in my hip would cause me to wake up with hip pain and then have trouble getting back to sleep. With our new mattress I have increased my restful sleep by 2 to 3 hours a night. I no longer wake in the middle of the night with hip pain. I get great restful sleep. This mattress is a great product. I am looking forward to better sleep and the benefits that better sleep will bring. * If you have a bad back, this is the mattress for you. * If you toss and turn, this is the mattress for you. * If you want to sleep better, this is the mattress for you. I’m a little disappointed as this bed was ALOT more firm when it arrived than it was when we tested it in store. After over a month, it’s getting a bit softer but not at all when I had hoped for. I am a side sleeper and my hips hurt every night after sleeping on this mattress. I thought the foam mattress would give a little as shown in the graphics but so far not. 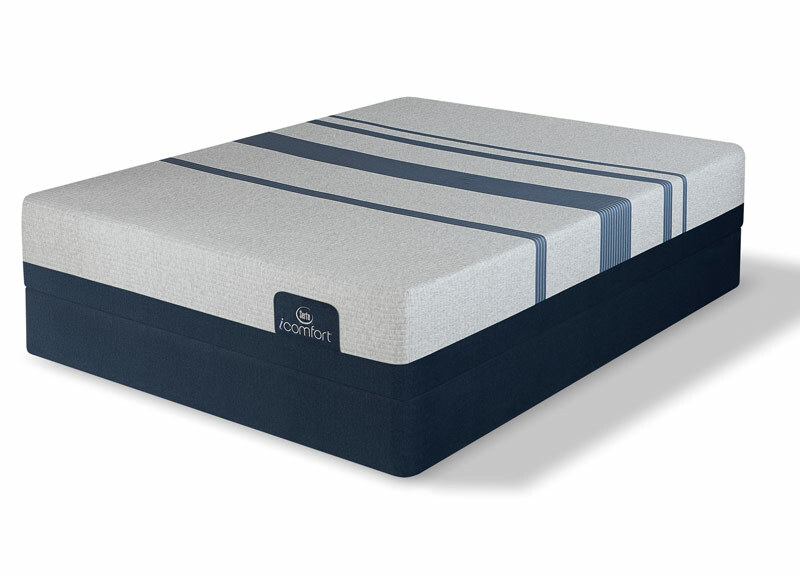 We have only used our Serta iComfort Blue 300 for about a week now, but so far the mattress has been such an improvement over our old traditional coil mattress. I was not sure how I would like the foam mattress but it really is comfortable and firm. I’ve used innerspring mattresses all my life and didn’t realize this was even out there. My back just started hurting and I couldn’t figure out the reason. After several months, I thought perhaps it could be the mattress, as there was no support for the middle of my back. My husband and I went to purchase a new mattress and AS SOON AS I laid down on the foam mattress, I was amazed! We have had it now for a couple of weeks and I LOVE IT!!! We both go to sleep quickly, and get a good night’s sleep. My back no longer hurts every time I get up. If you have back problems, I would definitely get this mattress. If not, get one just because it feels great!!! We purchased the I-comfort 7617. These mattresses suerpassed the comfort of the last two we have owned. We have been sleeping very comfortably. 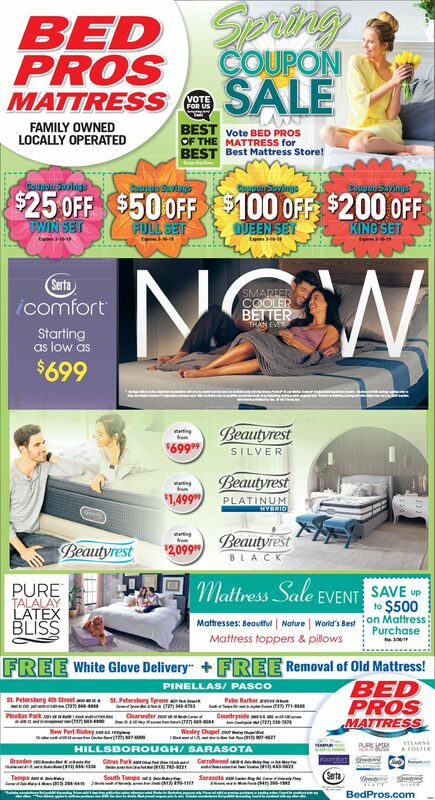 We are so grateful the salesperson promoted serta icomfort. We will never buy any other brand now that we have slept on the best. Thank you serta! This mattress provides good support in that I wake up and my back does feel sore. I feel that the quality meets the standard. I always wanted a foam mattress and I am very pleased with this one. I have had this mattress for a month now and I get a full night’s rested sleep. I would recommend this mattress to my friends and family, as well as to anyone ready to try something new, other than the old “type” coil mattresses that we used to sleep on. We bought iComfort Blue 300 mattress. This mattress is good and doesn’t warm up in summer as compared to our previous memory foam mattress. It is sturdy and comfortable at a affordable price. Love this mattress as my sleep has improved. Right from the start I had a full nights rest. We previously had a temperpedic and loved the bed but it was getting to hot to sleep at night we were going to buy another one until we found this one just by chance. Best thing we ever did i feel fully rested after 5 hrs of sleep, that’s because when I fall asleep i don’t get up anymore I sleep thru the night every night. Also way more affordable also which is a plus but that was never even a consideration when we going to buy a bed. We love out Serta iComfort 300 mattress. We had a s Serta foam topper on our old mattress so we were familiar with the foam concept, but this is much firmer than the toppers. The most important thing that we like is that we don’t feel each other’s movements like we did before. This is a great feature of the firm mattress. We don’t disturb each other when coming to bed or getting up in the morning. So far, we have no dislikes. We needed a much firmer mattress for my husband for medical reasons, and this mattress if perfect. Very firm and comfortable. Much firmer that our previous mattress. great foam feel. you’ll have a blast with a serta adjustable base and the right sheets. so far have slept great. I already have breakdown in the middle of the bed. Not satisfied. This mattress is the best ever!!!! With my previous mattress my back and neck hurt every morning, I woke up tired everyday, since I bought this mattress I am more rested. I highly recommend this product. So Far I’ve slept on the Blue 300 mattress a little more than a week. It is one of the most comfortable mattresses I’ve ever had. It is firm but is still very comfortable in many ways. I feel like I’m on a cloud when laying on it. Plus it still gives the support that a firm mattress usually does. I received my mattress about a month ago and absolutely love it! I’m an insomniac and was able to sleep a full 6 hours straight! That never happens and it was SO nice! It is a firm mattress, so I didn’t notice when my husband would get up during the night. Great quality and amazing support! We will be purchasing another mattress for our guest room and it will be this one! Recently purchased this product to replaces a close to 20-year-old Serta box spring. Initially, the mattress felt strange on the body due to the heat from your body and the contouring of your body to the mattress. It is warmer and requires a bedroom with an air conditioner. My tightness in the neck, lower back and hamstrings disappeared. The quality of sleep improved which boosted energy levels. The bed is so comfortable it is a challenge to get out of bed in the morning. Save your money from purchasing a tempu pedic. Buy the adjustable base which adds comfort while watching tv. There are many retailers to purchase this fine mattress. My suggestion is Sears since they deliver, set up and haul away your old mattress and boxspring at a nominal cost. I have hip, back, and neck problems stemming from an old car crash and have had difficulty getting comfortable and staying comfortable in order to get a good night sleep. Not so now! The very first night of sleeping on the 7617 mattress by Serta was one of the most restful nights I have had in years and each night since has been the same! I was never a fan of a firm mattress but the Blue 200 firm is in a class by itself! Not only is it firm but the memory foam is soft and provides just the right amount of support to ease my aching body after a long day! The queen size provides plenty of room for both my husband and myself to stretch out and not feel crowded. We both are in love with this mattress and look forward to a long time of restful sleep! This is my first venture outside the realm of traditional innerspring mattresses. I have been sleeping on the Serta 300 Blue Firm for about two weeks so far, and I can notice a tremendous difference in my quality of sleep. Firstly, I have actually been falling asleep quicker. In the past, it has taken me a bit of tossing and turning to get into a comfortable position. The first night, I fell asleep on my back which is something that I have tried repeatedly and has just never been comfortable to me. I have also been feeling more well rested than I have in years. I have been falling asleep and staying asleep without waking during the night to repeat the process of trying to fall asleep. The mattress is firm, but not hard in any way. I usually wake up feeling like I need to stretch and loosen up. I have noticed that my neck and back just aren’t feeling any strain in the mornings. I realized a few days in, that I was not awakened by the need to adjust the heat or fan in my room. Lastly, I have a 35lb dog that hops in and out of bed at night, there is no significant motion transfer, so I never feel him get on or off the bed. I have always woken up with migraines. Within the last two days of having this mattress I haven’t woken up in pain! My husband has severe back issues as well and needs the good level of plush and give but also support. He has that now. I can’t give enough stars to this mattress. 10 out of 10 will buy again when we have to buy a new mattress which hopefully won’t be for a while. I have not slept on the mattress yet we just had it delivered today. Both mattress and box spring were wrapped in plastic. We cut the plastic off and the mattress does have an odor to it. Almost like a dry cleaners smell. But its not as bad as I have smelled before on similar material products. We plan to ‘air it out’ for a bit. I look forward to sleeping on it. It is nice looking and just laying on it, it felt like a dream. The 7617 is awesome. It is so comfortable and I love the way that the mattress does not move when someone else moves. Myself and my husband were having back pains, now its hard to get out of the bed. Love it. This mattress is very comfortable. Mattress is great quality, will last a very long time. My husband loves firm mattress so this one is ideal.